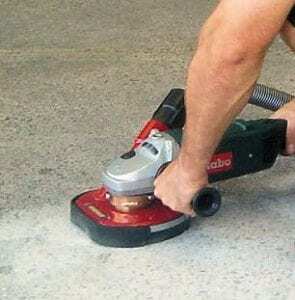 Surface Dust Guards for Angle Grinders - Dustless Concrete Floor Grinding. We offer special rates on vacuums with the purchase of a surface dust guard. 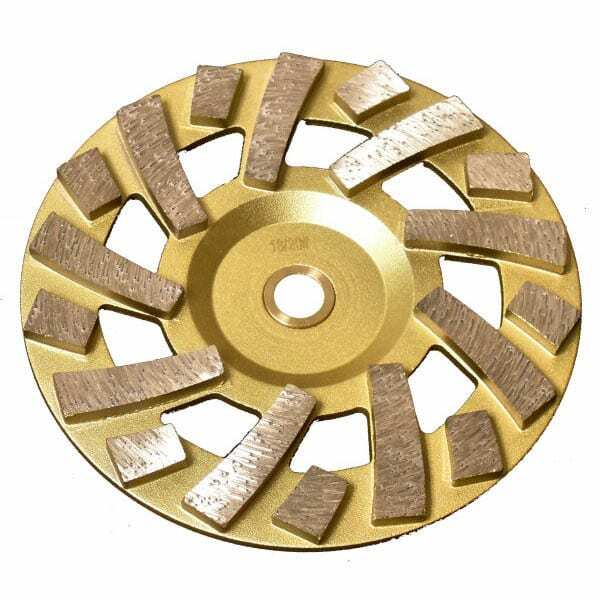 Or receive a free surface dust guard with the purchase of any 12 Diamond Cup Wheels. Adjustable rubber seal ensures that a small gap is maintained between the seal and the floor to provide the amble flow of air. Color-coded inserts are included with each guard for installing to all major brands: Bosch DeWalt Fein Flex Hitachi Makita Metabo Milwaukee Ryobi. Simply remove the standard wheel guard and attach a Surface Dust Guard. 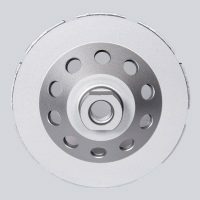 Once installed thread-on a diamond grinding wheel with a 5/8-11 hub and an approved HEPA dust extractor with a minimum hose diameter of 1-1/2″. 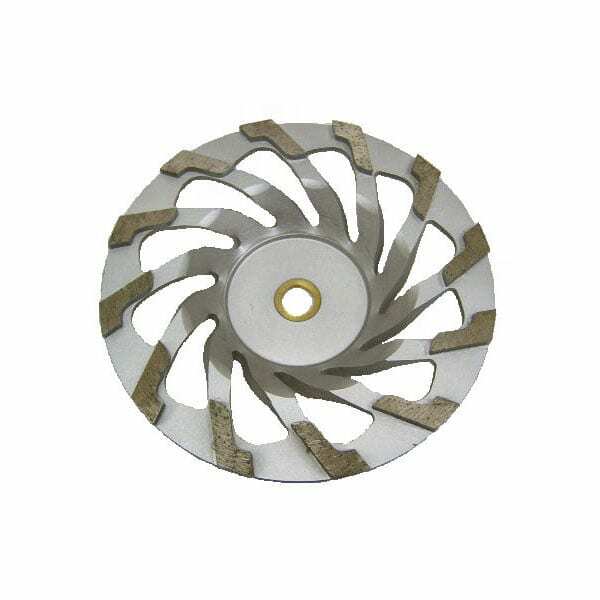 For using 4″, 4-1/2″, and 5″ grinding wheels. Two (2) straight edges are used for grinding along walls and into corners and around obstacles (pipes, columns, fixtures, etc.). A+ for use on walls and into tight areas. 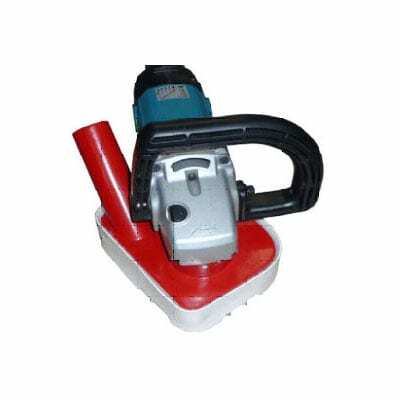 Included extra collars fit the following grinders: Bosch, Hilti, Hitachi, Makita, Milwaukee, Dewalt, Metabo, Makita 7″ Polisher. Included extra collar fits the following grinders: Bosch, Hilti, Hitachi, Makita, Milwaukee, Dewalt, Metabo. 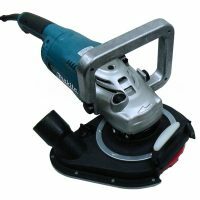 Makita 9227C Polisher: 7″ Surface Dust Guard – when used with the Makita 9227C Polisher, a separate collar is required: Part No. #09. Click here to purchase this collar. Effective Date: 23 June 2016, Compliance Date: 23 June 2017. The Dust Director® has been used and has figured prominently in just about every silica dust control study since its inception in 2001. Grinding brick mortar joints without using the Dust Director®. 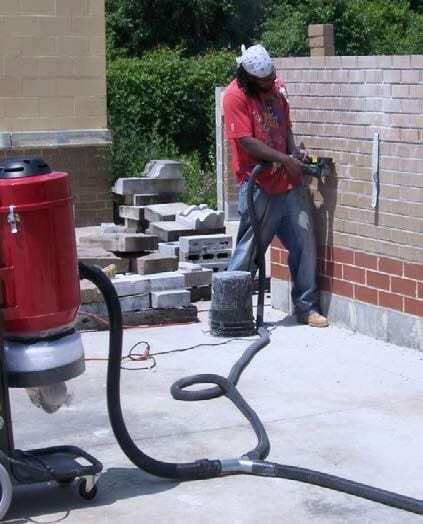 Grinding brick mortar joints using the Dust Director®. 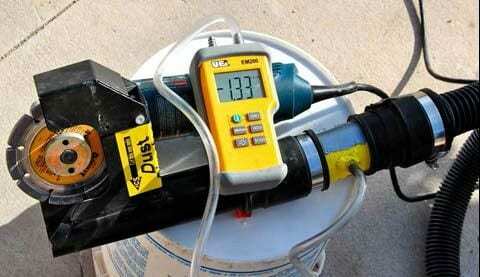 The Dust Director® attached to a Bosch angle grinder and a manometer to monitor silica dust exposure. Does your vacuum have enough CFM to handle your wheel’s diameter? OSHA’s Silica Dust Exposure Law – Requires the following CFM Rating: 25 CFM or greater per inch of wheel diameter. 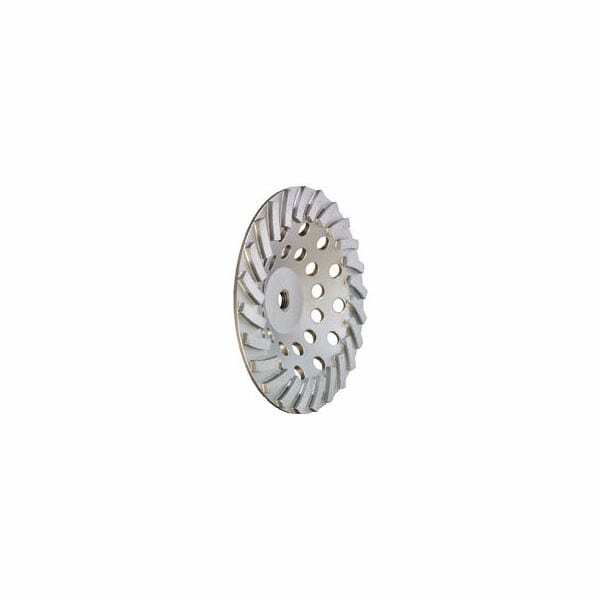 For example, a 7″ wheel needs 175 CFM (7″ x 25 CFM). 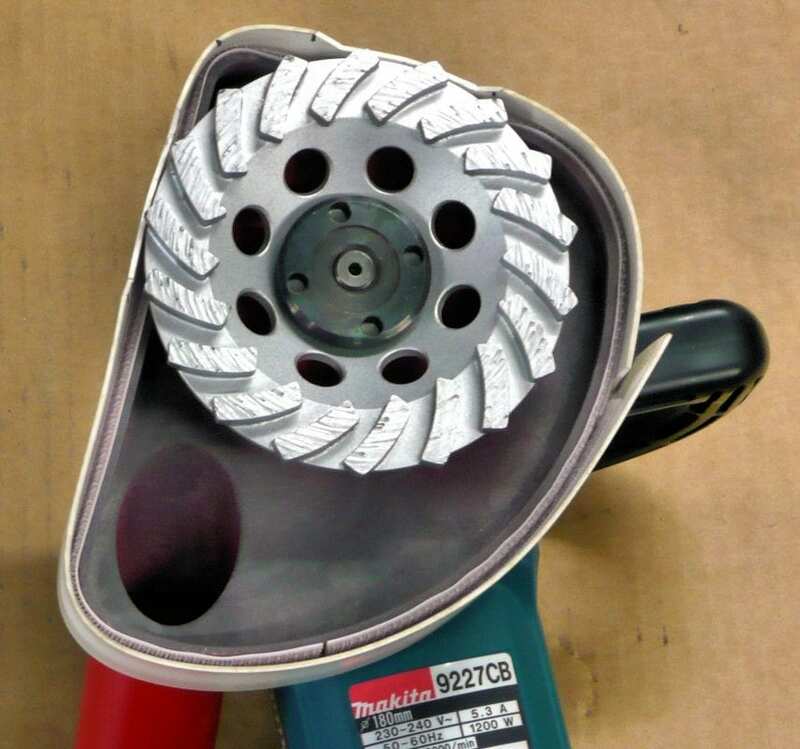 To comply with OSHA’s Silica Dust Exposure Law, one of your first steps is to select a vacuum or cyclone that has enough CFM to handle the diameter of the grinding or cutting wheel that you will be using. Use the chart and information below to help you select the vacuum that will have enough CFM. 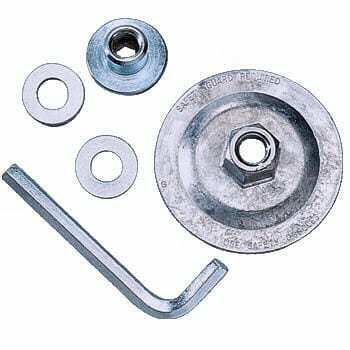 * OSHA’s Required CFM Rating: 25 CFM or greater per inch of wheel diameter. Features - Both HD Metal Guards ~ 7" & 5" Corner. Providing beautiful performance as they float across the floor . . .
Like a hovercraft on a cushion of air . . . Flush Edging – Along a wall . . .
Beautiful Dust Free Edging Results . . .
5″ Corner Surface Dust Guard ~ Priceless . . . Eliminates having to go back & hand scrape around around fixtures, obstacles, wall edges, corners, etc. Grinding along walls used to be impossible . . . The vacuum port got in the way . . . The guard was too bulky . . . The diamond cup wheel was shielded . . .
. . . and into corners! Flush Grinding / Cleaning Along a Wall’s Edge . . .
Will not warp, crack or break like plastic . . .
Purchasing a separate power tool is not necessary. 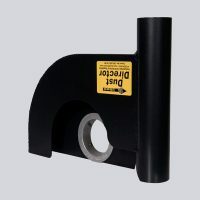 Each Surface Dust Guards includes an assortment of plastic insert collars that enable you to attach either of the guards to any high speed angle grinder or polisher. 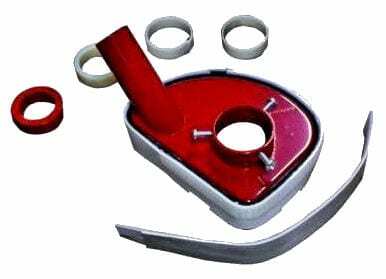 Adjustable hook-n-loop (Velcro®) Rubber Seal Edging. Ensures that the air flows is under the hood – where the dust is generated – giving it superior dust pick-up. 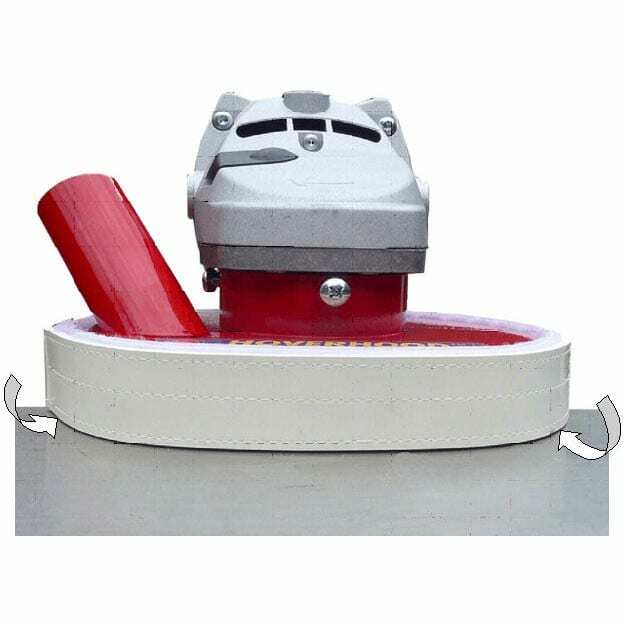 Low speed grinders or polishers do not even need the rubber edging. 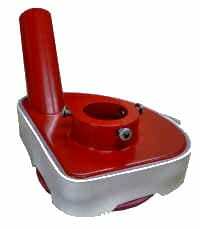 It is only required when grinders exceed 4,000 Rpm. 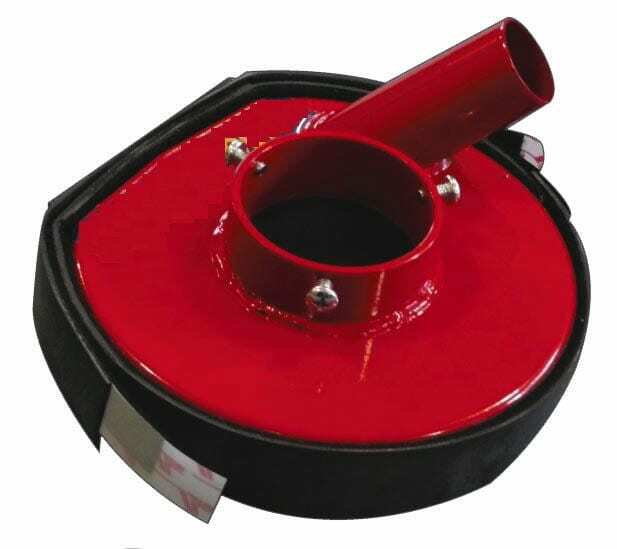 As a diamond cup wheel wears, the Rubber Seal Edging can be moved down to last beyond five cup wheels (the seal only touches the floor’s high spots). Smooth & Effortless Grinding ~ No noticeable friction is felt . . . Surface Dust Guards are built for removing glue, paint, concrete, etc. from smooth or rough concrete surfaces with superior dust pickup and easy handling . . . they actually float across the floor without any friction. 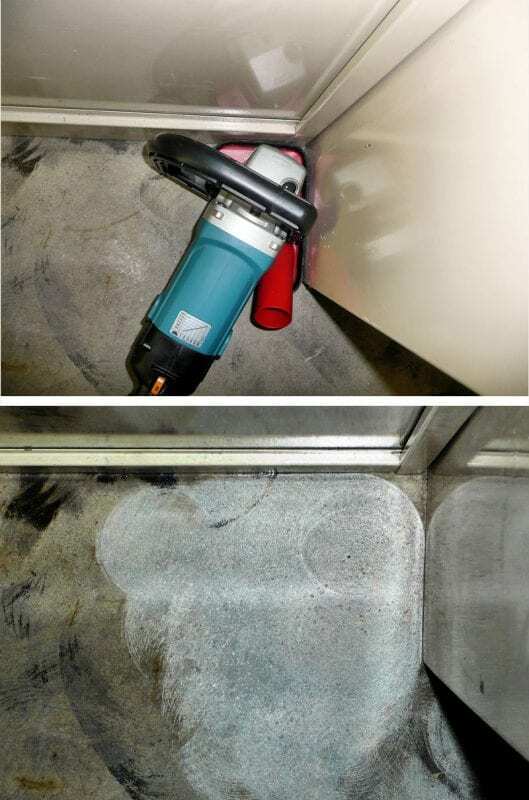 If you are using the tool on difficult, sticky floors and it is slowing down so much that you smell the motor burning: DO NOT STOP THE GRINDER – IT WILL BURN OUT! Their motors are very powerful, but they generate a lot of heat. They utilize a strong built-in fan that constants draws-in outside cooling air into and around the motor to keep the motor operating cool. 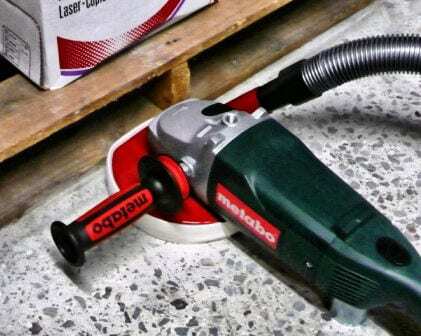 Instead of stopping the grinder: If it smells or it seems like it is running too hot, immediately lift the tool off the floor and let it spin freely for 20 seconds. This will allow the cooling process to work. Beautiful, absolutely perfect and the owner was very happy . . .
We grounded over 14,000 sq. ft. of interior vertical walls at the airport and the guards, your vacuums and the smooth grinding (turbo cups) wheels worked perfect – beautiful system.